To share a ride or not, that is the debate. 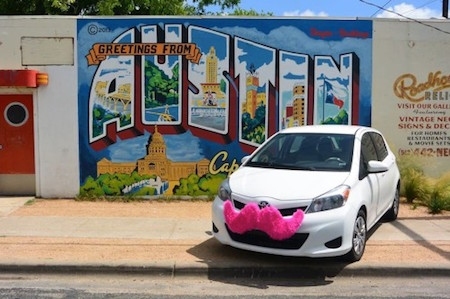 Here in Austin we’ve all heard of and/or used Lyft or Uber to get around town. For some of us, it’s the best thing since sliced bread! It provides that safe ride when you go out at night, allows you to avoid the hassle of trying to find parking, and is fairly affordable and efficient to use on a weekly basis. more frequently when traffic is already as crazy as it is here in Austin? 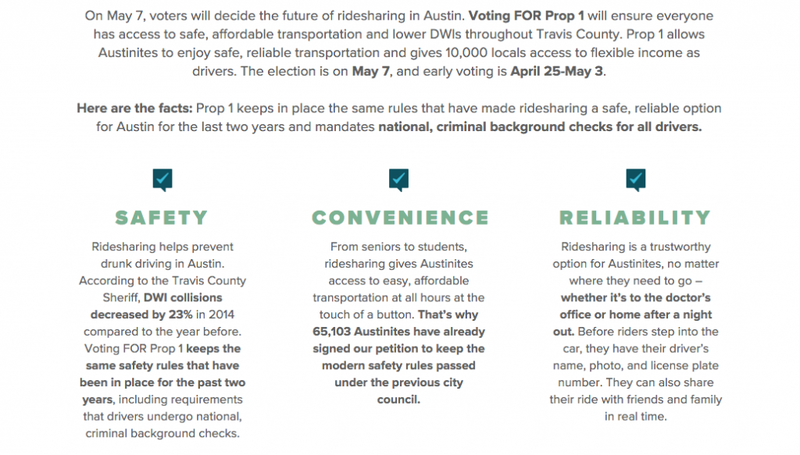 What if the companies leave and we are left stranded without ridesharing options? Well, the city believes that requiring the fingerprints is a fair way to operate, since taxi drivers are required to do this as well. They are sticking to their guns here and are hoping these more restrictive measures will help regulate current safety concerns. It’s definitely a valid argument and we want all Austinites and visitors to make it home safely, too. If you are interested in the debate and want to keep ridesharing alive here in Austin, decide for yourself to vote for or against Proposition 1. Check some of the facts and debates for yourself HERE! 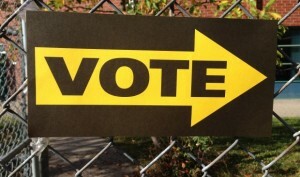 Early Voting is April 25th -May 3rd and voting is May 7th. 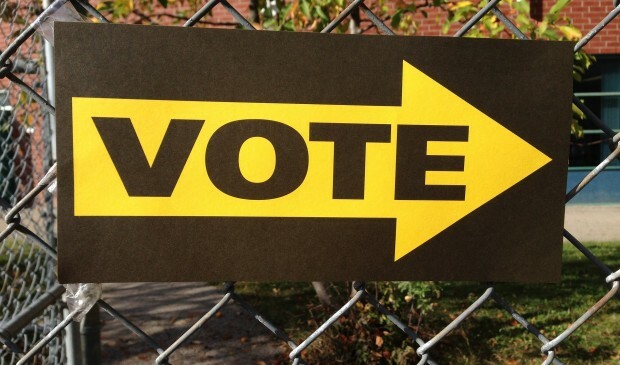 Find out more about where you can vote HERE.